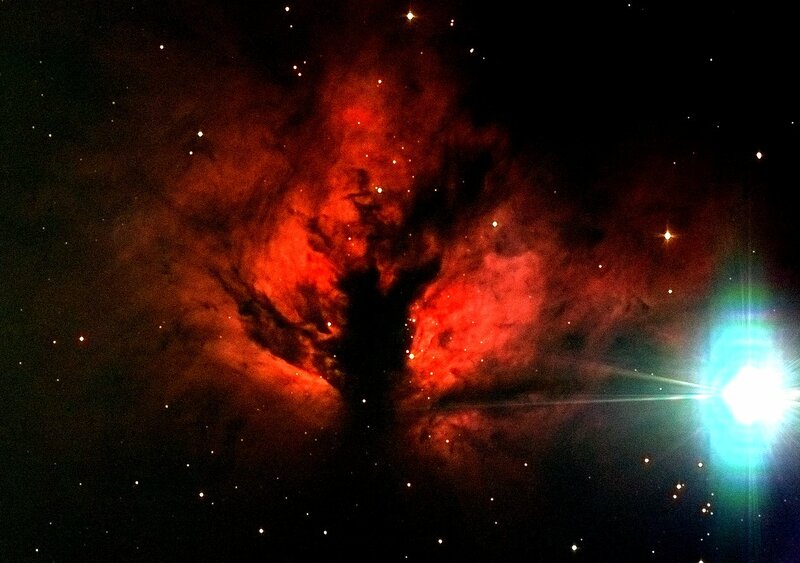 The Flame Nebula is part of the nebulosity complex on the Orion belt. It is close to the Horsehead nebula, so widefield images can be found displaying them together. The very bright star is Alnitak (zeta Orionis) with a mag of 1.77 and a distance of 1108 light years. When looking with naked eyes, this is the leftmost of the 3 stars from the Orion belt.